Already been through the basic sailing lessons? 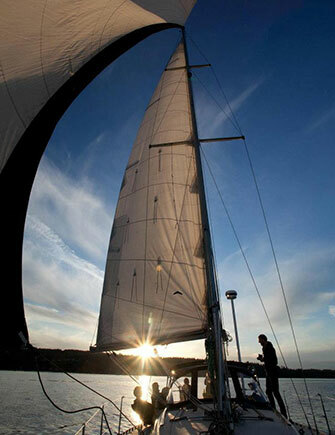 Continue your sailing education with our advanced sailing lessons & sailing endorsements. Whether you wish to cruise downwind with a spinnaker flying or safely and confidently dock boats 22ft-40ft, we have a course that fits your needs. Sail for 30 consecutive hours (including overnight) on this hands-on 3-day, 2-night cruising course with four students and two instructors. The skills gained in this course will prepare you to cruise the world but will prove useful for local cruising as well. Learn about the weather: the types of clouds and what weather to expect from each, thermal and prevailing winds, and the weather sources available in the U.S. Pick up & READ the course materials. The International Marine Book of Sailing by Robby Robinson and ASA 106 syllabus are available at Seattle Sailing Club. If you live out of the area, we can ship the materials to you. Note: The course materials are included in the cost of the course, but there is an additional fee to ship them. Pack your bag according to the marine weather forecast. We suggest bringing a waterproof outer shell, warm layers made with polyester, fleece, wool or merino wool (no cotton), non-slip/non-marking shoes, a water bottle, lunch, sunscreen, and chapstick. Use the ASA 104 packing list as a guide while you pack for your weekend adventure. The National Oceanic and Atmospheric Administration’s (NOAA) website provides up-to-date weather forecasts for the Puget Sound area. At the bottom of the page, you will find the forecast for the Puget Sound and Hood Canal. Pass the ASA 106 written certification exam along with the on-the-water skills test (completed during the last day of the lesson). Get on the water! After passing your ASA 106 exam, you have officially completed your certification. You are now able to safely skipper vessels 30ft-50ft in coastal and inland waters both day and night. 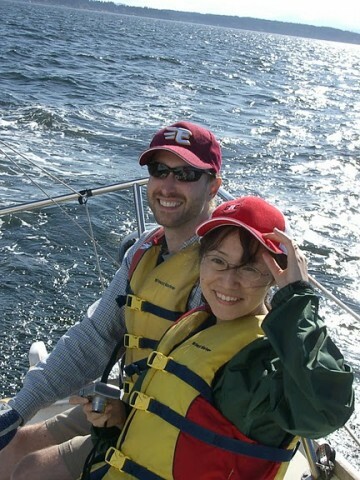 If you’ve joined one of Seattle Sailing Club’s memberships, you are now certified to skipper all boats within our fleet. Your certification should arrive in the mail within 4 to 6 weeks after passing the exam. For more information on ASA’s International Proficiency Certification, click here. Seattle Sailing Club is excited to be offering ASA 114 Cruising Catamaran certifications. 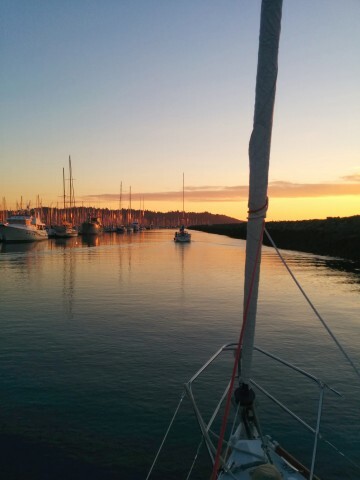 In this class, students will learn to skipper an auxiliary-powered sailing cruising catamaran- Catana 47 Moon & Stars – on a multi-day (Saturday – Sunday) overnight cruise in the Puget Sound. The course will cover knowledge of catamaran structure, components and features, performance under sail and power, boat systems, seamanship, safety, heavy weather operation, and emergency response. Pick up & READ the course materials. 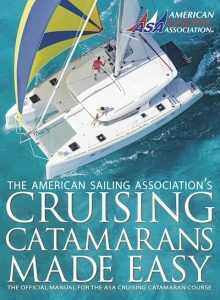 Cruising Catamarans Made Easy by ASA. Note: The course materials are included in the cost of the course, but there is an additional fee to ship them. Pass the ASA 114 written endorsement exam along with the on-the-water skills test (completed during the last day of the lesson). Pay $30 ASA 114 endorsement exam fee. Upon completing this course you will have acquired the skills to confidently skipper inboard and outboard engine charter boats in tight quarters. You will gain hands-on experience maneuvering and securing boats in various weather conditions and increase your competence with techniques applicable to 20ft-50ft single engine sailboats. Your certification should arrive in the mail within 4 to 6 weeks after passing your certification exam. Docking is one of the most stressful aspects of sailing because you are coming within inches of a solid and unforgiving obstruction, very capable of damaging your vessel. We believe docking should be as relaxing as sailing itself, thus we offer the Docking Endorsement, to help make docking your vessel as second nature as parking your car. Pick up & READ the course materials. Docking Techniques by Tom Tursi and ASA 118 syllabus are available at Seattle Sailing Club. If you live out of the area, we can ship the materials to you. Note: The course materials are included in the cost of the course, but there is an additional fee to ship them. Pass the ASA 118 written endorsement exam along with the on-the-water skills test (completed during the last day of the lesson). Pay $30 ASA 118 endorsement exam fee. Spinnakers are the colorful, balloon-shaped sails that increase a boat’s speed while sailing downwind in a sailing regatta. Learn the fundamentals of this fun downwind sail and how to safely and efficiently pack, jibe, trim, and douse asymmetrical spinnakers on both the J/80s and J/105s. Q: How can I prepare for my course? Suggested materials for this lesson include The International Marine Book of Sailing by Robby Robinson, Spinnaker Handling Course syllabus and checking out a few J/24, J/80, and J/105 spinnaker videos on YouTube. Get a head start on the reading. Reading the suggested course text and syllabus will give you an idea of what to expect during the lesson. Understanding marine weather is one of the most important skills of a good sailor. When to sail, where to sail, even if you should cast off at all are decisions that rely upon a sailor’s ability to predict the wind. 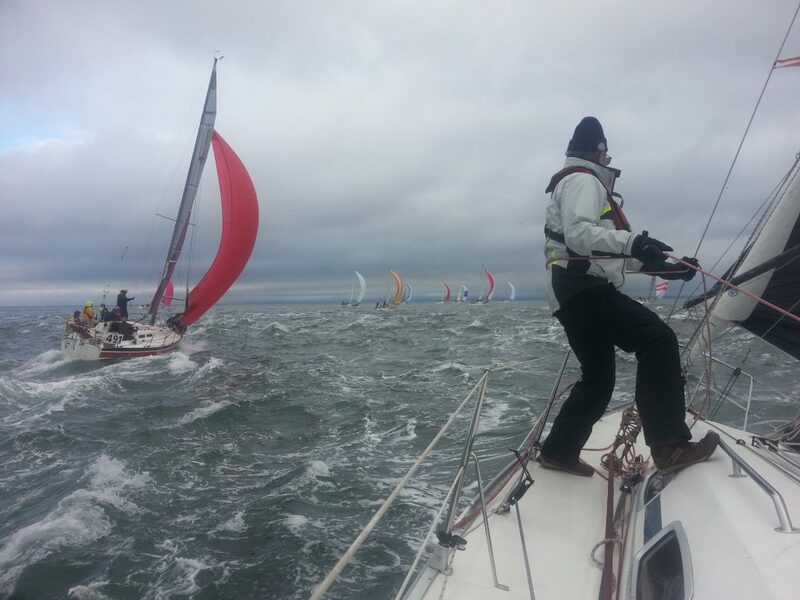 Temperature, wind, and precipitation contribute to the ‘fun factor’ of sailing whether you prefer warm and dry or wet and wild. Marine weather impacts many safety considerations: skipper and crew experience, vessel stability, what equipment to use, clothes to wear, potential navigational hazards, and a respect that accidents and equipment failures are more likely in adverse weather. Using satellite data to improve observations, forecasts, & visualizing circulations. This course is run on a demand basis. Saturday and Sunday from 9:30am – 4pm. Pick up & READ the course materials. 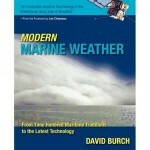 Modern Marine Weather by David Burch and ASA Introduction to Weather Workbook are available at Seattle Sailing Club. If you live out of the area, we can ship the materials to you. Note: The course materials are included in the cost of the course, but there is an additional fee to ship them. Pack your bag according to the marine weather forecast. We suggest bringing a waterproof outer-shell, warm layers made with polyester, fleece, wool or merino wool (no cotton), non-slip/non-marking shoes, a water bottle, lunch, sunscreen, and chapstick. The National Oceanic and Atmospheric Administration’s (NOAA) website provides up-to-date weather forecasts for the Puget Sound area. At the bottom of the page, you will find the forecast for the Puget Sound and Hood Canal. Pass the ASA 119 written endorsement exam. Pay $30 ASA 119 endorsement exam fee. Upon completing this course you will understand and demonstrate the proper use of weather information in planning and adapting navigation during local and passage-making voyages. Demonstrate the ability to use both the latest technological tools as well as traditional maritime skills to forecast weather conditions. Your certification should arrive in the mail within 4 to 6 weeks after passing your certification exam. Made your way through the basic and advanced ASA courses but looking for more time practicing skills? We can organize time with one of our instructors and design a curriculum to fit your goals. 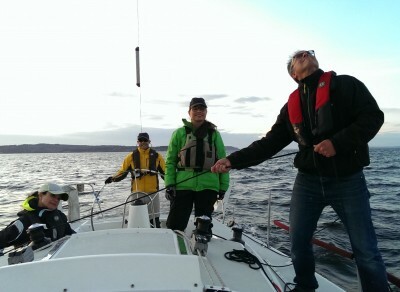 Want to practice jibes, reefing, or spend some time docking? We can make it happen, just give us a ring we’ll get you on the water! Available everyday except Wednesdays 9am to 5pm. To schedule your private sailing lesson please provide us with days and times you are available and we will find an instructor that will best fit your needs at the time that works best for you. Call (206)782-5100 or Email for scheduling and availability.